On the morning of her birthday, he got her up bright and early and they went to a theme park. He put her on every ride in the park – the Death Slide, The Screaming Loop, the Wall of Fear. She had a go on every ride there was. She staggered out of the theme park five hours later, her head reeling and her stomach turning. Then they were off to a movie theater where they ate popcorn and sweets and drank Cola. At last, she staggered home with her husband and collapsed into bed. This story points to the fact that we men sometimes just don’t understand what our wives need or really want. But, at least, the poor guy remembered his wife’s birthday. In that spirit, I want to get the day off to a good start by using today’s post to wish my wife, Norma Jean, a very HAPPY BIRTHDAY! Those of you who know my wife, know what a special lady she is. She’s kind. Compassionate. Considerate. Sensitive. And thoughtful. She’s others-focused. Always caring. Ever serving. And unselfishly giving. I know some of my preaching colleagues might take exception to this, but Norma Jean is undoubtedly the best preacher’s wife in the brotherhood. She is my partner in ministry. She constantly writes notes, send cards or emails to encourage others. She makes calls to check up on those with special needs or, just to share a kind word with a friend. Norma Jean is a fantastic cook. She extends hospitality freely and graciously. Our home is open for potlucks, group meetings, teen devotions and visiting preachers. She dutifully folds bulletins. Proofs my blog and Bible class materials. Arrives early at every service, and stays late. Greets visitors. Holds the babies. Pays special attention to the elderly. And shares a warm hug for all. She’s my best supporter. My #1 cheerleader. And kindest, gentlest critic when needed. She reminds me when I forget. Applauds me when I succeed. And encourages me when I get discouraged. And trusts me to lead. 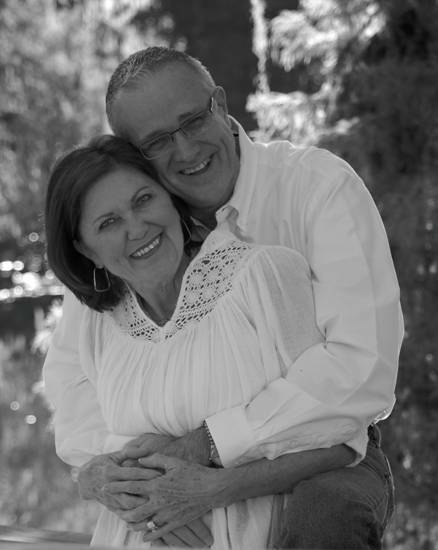 She’s been a faithful and loving mother to our son, Kenny, and to our daughter, Rachél. And has extended that same love to their spouses, April and Jared. Now, she’s enjoying and embracing the role of a doting Grammy loving and spoiling our two young grandsons, Roy and Miles. Happy Birthday, Norma Jean. You are both great! I might also say that Norma Jean is also especially blessed to have an appreciative and caring husband, who recognizes and supports her talents! Teamwork! Happy Birthday, Norma Jean! Happy Birthday Norma! We love you! One other thing — Norma was also a diligent and cheerful worker in the Ad building at Florida College. I miss her cheery hello when I walked into the office. Happy Birthday to you, Norma! You are a big part of my life for good, for all the things that Ken mentioned and more. I know you’ll have the greatest birthday because Ken is that kind of a guy! Love you both! Even though I didn’t know you but with what the wishers had written about you i want you to keep it up. I rejoice with you Norma as The Lord is adding a year to your age and my prayer for is written in proverb 9:11 for by me thy days shall be multiplied, and the year of thy life shall be increased. A big amen from Billie & Cal — miss you guys!!! Norma Jean thanks all of you for the kind birthday wishes, thoughts and remembrances. We’ve had quite an exciting time the past few days. I think it’s a birthday she will never forget.